Planning for the June half term? Why not have a look at Cadburys world, we have noticed that this is very popular with a lot of our customers over at Easirent Wigan. We can offer you some fantastic deals on cars if you are struggling for transport over at Easirent Wigan please contact us on 01942 77 88 99 to make a booking or for any further enquiries. At Cadbury’s world uncover a world of chocolate delights and enjoy a fascinating, fun-packed day out at Cadbury World! There’s so much to see and do for the whole family. From learning how your favourite confectionery is made and uncovering the fascinating story of Cadbury chocolate, to playing in chocolate rain and adding your favourite treat to a delicious pot of warm liquid Cadbury Dairy Milk. 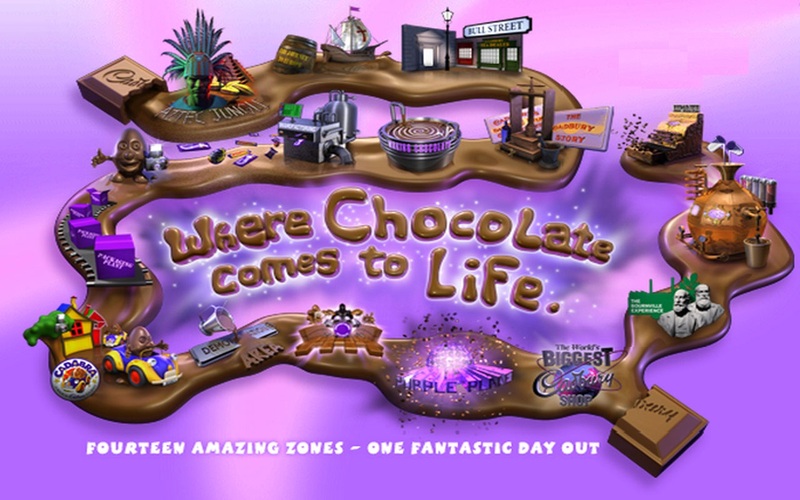 You’ll discover the origins of the cocoa bean amidst trees and waterfalls in the Aztec Jungle, before jumping on board the magical Cadabra ride and visiting the 4D Chocolate Adventure zone, a 4D cinema experience featuring Cadbury’s most popular characters. A visit to Cadbury World is not a factory tour. Cadbury World is located in the grounds of the original Cadbury factory, but isn’t a tour of the factory itself. Instead, you’ll discover the history, the making and the magic of Cadbury confectionery as you journey through our chocolaty zones. INDIVIDUAL ADULT – £15.91 INDIVIDUAL CHILD -£11.68 AND UNDER 4’S ARE FREE.